Assemble five POWER outfits and keep them easily attainable. These are "go-to" ensembles that include accessories. At least one of the combinations should be something formal. Another combination should be an outfit that is business or casual. And finally, create at least one ensemble that is something you could wear everyday. Each outfit should help you feel confident, yet comfortable. You know you've succeeded in creating a POWER combination when you feel great and you rarely adjust yourself. 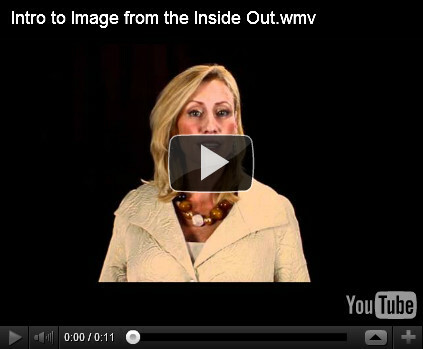 Why Image as a Coaching Tool? Your Image is the unconscious message you emit to the world. Image tells the world what you think about yourself, your work and your environment. Most of what we "say" isn't spoken aloud, but presented to the world through our attention to detail in dress, non-verbal communication and how we carry ourselves. Image Coaching will help you match what you think and feel with how you present this in your body language and appearance. The goal in Image Coaching is training clients to live in true integrity, that means matching who they are within with who they are to the world. When you match the inner you with the outer you, you are living in alignment and will experience more peace and less chaos. Inner Element frequently published new videos along with helpful tips on its Youtube Channel. Please check it out and follow us there as well.